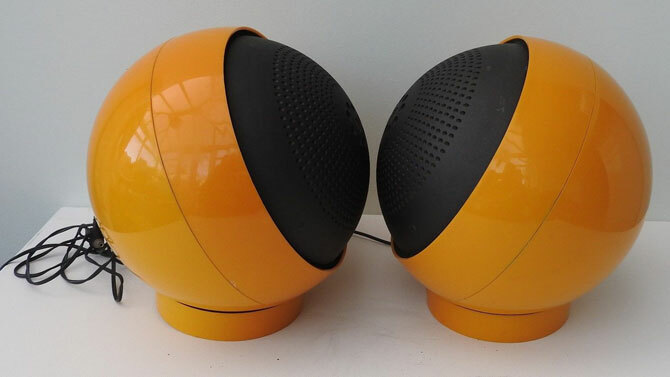 Oh these don’t come up very often, so do check out the 1970s Weltron space age audio system and speakers on eBay right now. This model is a Weltron 2004, which, rather confusingly, dates back to to 1973. Ok, not that confusing, this could only have been designed and made in the 1970s. In fact, that’s the key selling point here. 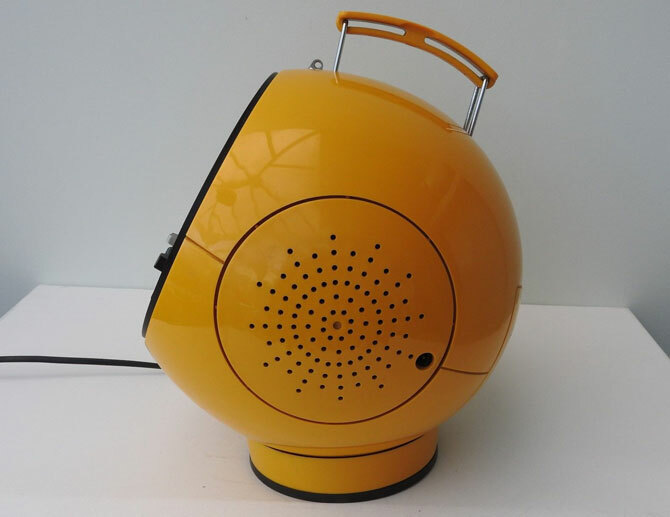 This is an icon of the era and the ‘space age’ design movement, hence the desirability. I don’t know if the yellow colour adds to the collectability or not, but generally these tend to come in white, So yellow (which looks a little like orange to me on the photos) certainly makes it more of a standout model and avoids the discolouration you tend to get with white plastic design pieces. A a piece of interior design, this is a dream for lovers of the 1970s. 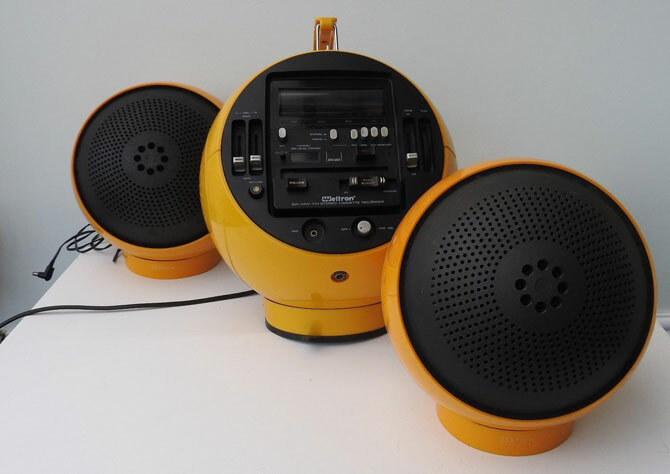 But let’s not forget that the Weltron 2004 is an audio system too. Well audio system might be overselling it, but the unit does have radio reception as long as you are happy with SW, MW or FM reception. 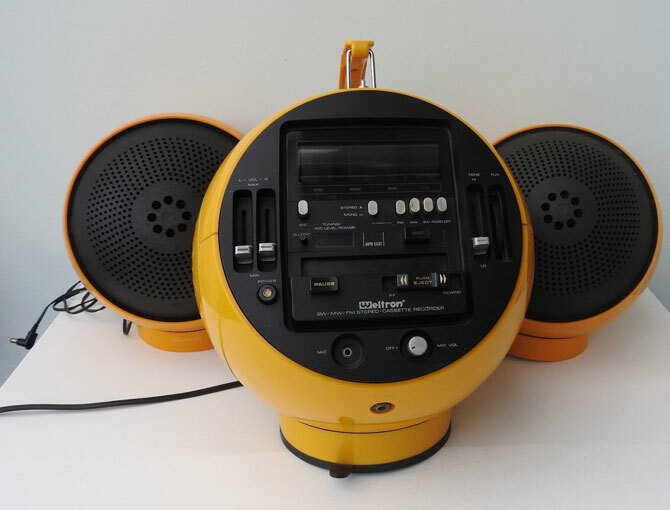 It also has a cassette deck too, which is quite a selling point considering how ‘hip’ cassettes have become in the last few years. 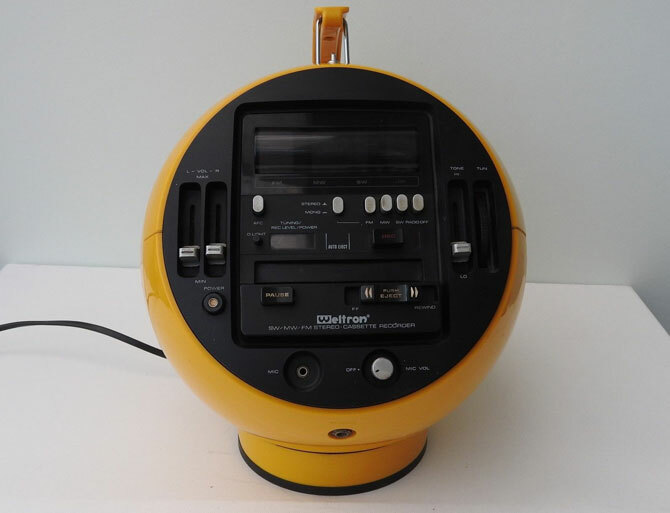 According to the seller, the cassette deck (as opposed to an 8-track) means you play an MP3 player through it if you buy an inexpensive cassette adaptor. Nothing for records sadly, you’ll need a 2005 system for that. Now, let’s look at condition. Apparently all switches and dials ‘work fine’, the two built in speakers ‘sound great’, bass, treble, balance, stereo/mono and volume dials are present and correct and you also get front loading headphone and microphone sockets. You can work it via mains, but the battery compartment is ‘clean’, allowing you to use it out and about too. The carry handle is still here, as is the rubber suction cup on the base to prevent slipping. There’s also a metal loop on the top were the unit could be hung by a chain from the ceiling, however, the chain is missing sadly. All told, not bad at all for its age. There are more details and more images on the listing, so do check out those if you can. If it appeals, the ‘Buy It Now’ price is £300.